Restaurant: Award-winning Rundles, in Stratford, Ontario, is this year celebrating its 38th season. 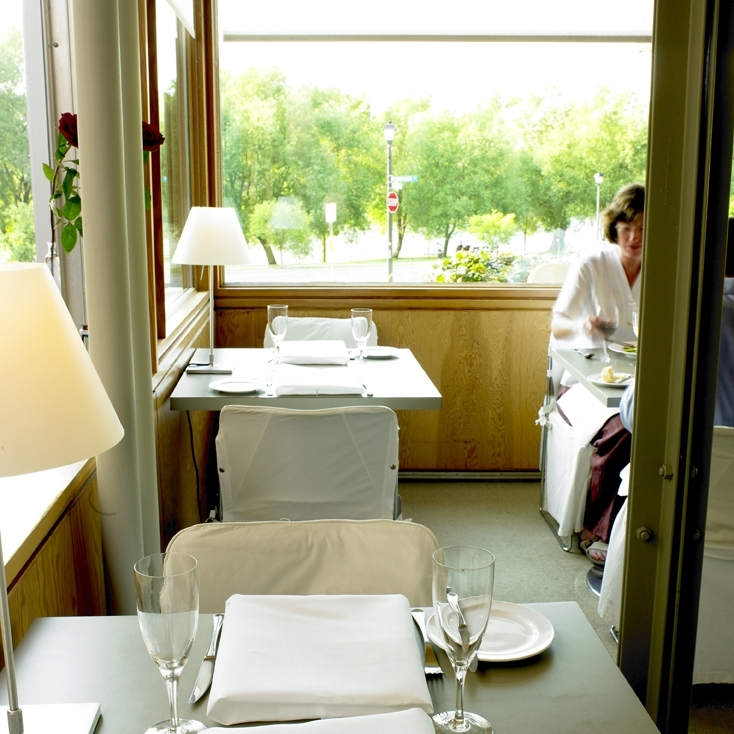 With its modern haute cuisine, the restaurant is the perfect setting for a pre-theater, special occasion, or later dinner. Rundles modern haute cuisine is layered, balanced, and full of harmonious flavours. Wines range from small, local, boutique selections to those of the great houses of Bordeaux. The service is gracious, gastronomically literate, and charming. The overall effect is that of time suspended, making one feel energized and inspired to live in the moment. Chef: Chef Neil Baxter spent his early years in Singapore and Malaysia, which exposed him to food that a six-year-old from Fife, Scotland, would not normally have experienced. He began his apprenticeship at age 16, in Cheltenham, England, while he completed four years of college training in catering, bread-making, and confectionery. After travelling extensively, he arrived in Canada where, in 1981, James Morris, Rundles owner, offered him a position as Chef de Partie. After completing his first season, Baxter was promoted to Chef de Cuisine, a position he holds today. As well, Chef Baxter teaches at the Stratford Chefs School, and he also teaches weekend classes to approximately 90 amateur cooks each year. Butter: Rundles takes the bread-and-butter service seriously. Chef Baxter prefers to make his own butter, using fresh organic cream from Harmony, a local dairy. He and his staffers separate the cream, then drain off the extra buttermilk. Chef Baxter likes to retain a small amount of the buttermilk for flavor; then he finishes the butter by adding kosher salt. Baking bread on site for each service, the kitchen staff pairs the bread with homemade churned butter, served in custom-made butter dishes. Each butter dish is made individually – which allows each one to be produced with slight differences – by Kate Baker, who is based in Montreal. Butter Commentary: “Growing up, we cooked potatoes that we dug from our garden, adding butter and fresh herbs. That memory has stuck with me forever,” Chef Baxter recalls.